The Toolbox of Multi-species Swards project, otherwise known as TOMS, is a collaborative project between the Rural Business School at Duchy College and Rothamsted Research North Wyke. 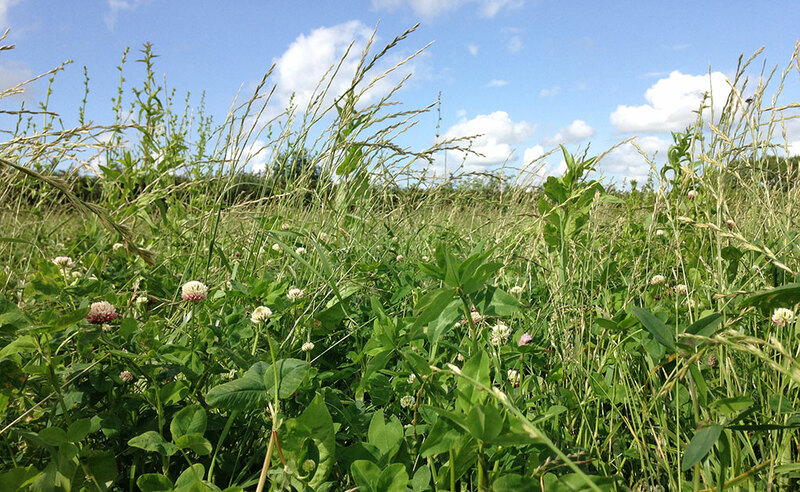 There is an increasing interest in the use of multi-species swards/herbal leys/diverse forages, although there is currently only limited advice available on their establishment and management. A significant proportion of Cornwall’s utilisable agricultural area is grassland, either permanent pasture or temporary leys, dominated largely by a limited range of ryegrass and clover varieties. There is now increasing recognition of the potential to exploit the functional contrasts between species that enable them to co-exist within the same ecological niche, and to deliver a much broader range of benefits, including multiple ecosystem services. Whilst considerable research both nationally and internationally has previously gone into exploring the benefits associated with multi-species swards, this information is disparate, hard to access for farmers and advisers and not tailored to the soil and management conditions prevalent in Cornwall. • Determine forage quality across a range of soil types in Cornwall with respect to the micronutrients Copper, Iodine, Cobalt and Selenium. • Determine forage species presence and abundance across a range of soil types in Cornwall. • Measure the relative reduction in leaching achievable with a diverse sward, compared to a control ryegrass/clover mixture. • Quantify the impact of species composition, sowing rate and seedbed preparation on forage quality and quantity. • Define and analyse silage made from multi-species swards, including investigating optimum mixtures and conditions. • Quantify pollinator abundance in diverse swards compared to a control ryegrass/clover mixture during the statutory 5 week shut off period, a requirement for some stewardship options. • Understand the major hurdles for farmers in the adoption of herbal leys. • Develop a web-based decision making tool to assist with the establishment and management of multi-species swards.